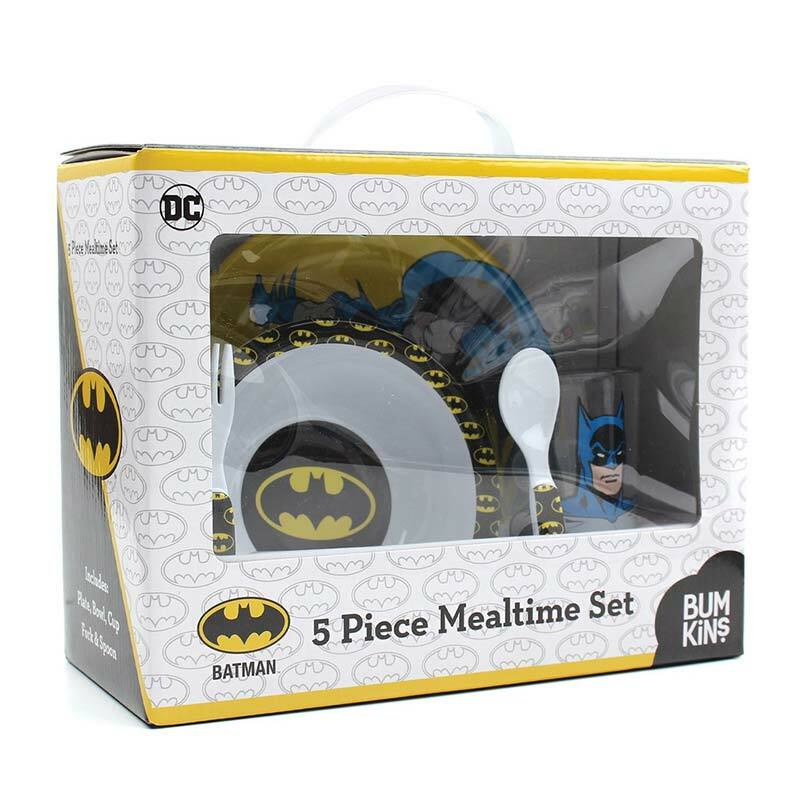 Officially licensed Batman melamine mealtime set. 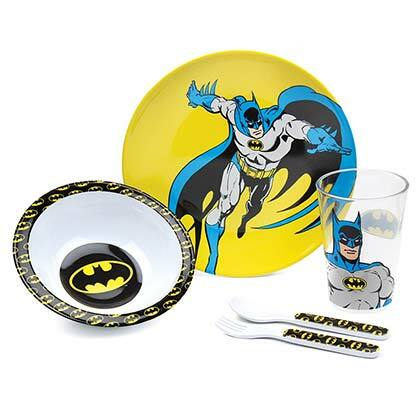 All pieces are dishwasher safe (top rack only) and not recommended for microwave use. Set includes: Plate 8", Bowl 6"Wx1.5"D, Cup 10oz, Fork and Spoon 5.5".